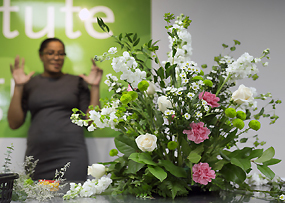 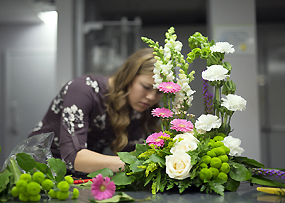 The Professional Floral Design Program definitely has its moments of fun and satisfaction. 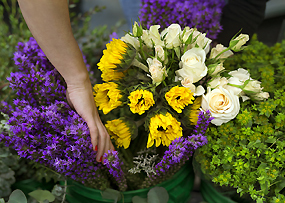 The "hands on" approach and delightful scent of fresh cut flowers puts everyone in a good mood. 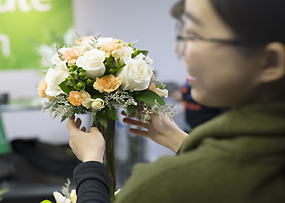 Here are a few photos of the inner workings of Floral Design at CIFD. 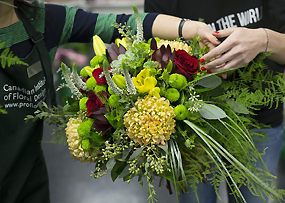 Our students feel a real passion working with flowers, and reap the rewards in a fun and nurturing environment. 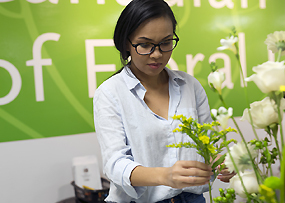 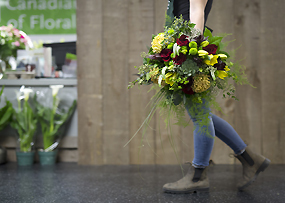 Many of our students have gone on to rewarding, successful positions in the Floral Industry. 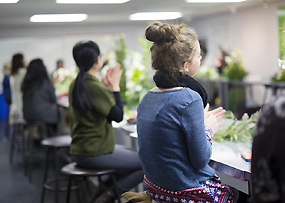 Having a diploma to present to a potential employer is an excellent and sometimes necessary document as you plan your job strategy. 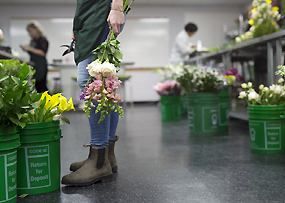 If you've ever considered a career in the Floral Industry, come check us out... and follow your dream. 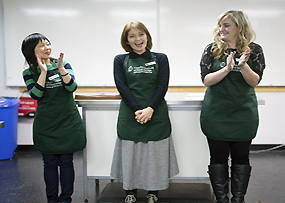 Check out what our student alumni has to say about that.